There comes a time when every homeschooler is in need of a little homeschool encouragement. Here's my advice for hanging in there when the going gets tough. We all start homeschooling with a vision for our homes, our children and their education, but sometimes real life interferes with the best laid plans. There are days when children are uncooperative, nights when the baby won't sleep, months of morning sickness, and many moments in between where you'll be just plain overwhelmed. You will make some mistakes. You will yell at your kids. You will push too hard. You will expect too little. And you won't always accomplish everything you want to accomplish in a day, week, month, or year. You know what? That's okay! My father-in-law passed away just as we were beginning school in the fall of 2008. We found out he had cancer, and 3 weeks later he was gone. We spent those three weeks driving to the hospital, sitting in waiting rooms, encouraging my mother-in-law and comforting my husband. We didn't do school during those weeks, and didn't resume for at least a month after the funeral. Sometimes school has to take a back seat to real life, and sometimes life's lessons are more important than anything your children will learn while doing school. 2. Don't compare your family to others. You don't have to run your home school the way the experts say you should run it. You don't have to use the curriculum your best friend is using. You don't have to measure yourself or your children against other people's standards. One thing I've learned over the course of homeschooling is that I fail every time I compare myself or my children to another family, even when that comparison leaves me feeling like I'm ahead. I took an exercise class years ago where the instructor admonished us not to compete with our neighbors. He said, "If you need to compare, compare your right side with your left." In our home, we compare today to yesterday. Can my daughter read more today than she did yesterday? Does my son remember more today than he did yesterday? Are our relationships stronger today than they were yesterday? I loosely keep track of skills that go with specific grade levels, but I mostly want my kids to learn at their own pace and feel free to be themselves. Life would be boring if we were all the same. 3. Identify the source of your problem. Are you feeling lonely and isolated? Are you involved in too many activities? Are your children constantly bickering? Are you dealing with learning challenges? Think about the main source of your frustration or discouragement and start looking for solutions. Consider changing curriculum, restructuring your schedule or finding homeschool support. 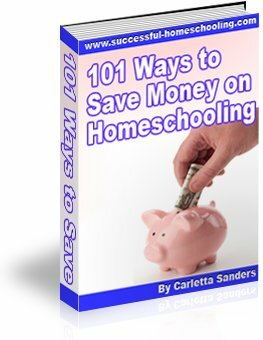 If finances are an issue, look for ways to lower your homeschool cost or work from home. In addition to searching for solutions, make a list of reasons you decided to teach your children at home and post it on your refrigerator as a source of homeschool encouragement. Check out the video below for more homeschool encouragement! In my family, even the worst day of homeschooling is better than the best day of public school because we're all together. We're building bonds that can't be broken and memories that we'll cherish for years to come.